Happy New Year (almost!) Figured I'd share a few of the mini gifts I got and a few things I made recently. I made the tray for my friend, Gigi. The cake is Model Magic clay with a Christmas button on top. The cookies are also the same clay with fruit cane slices on top. The hot chocolate is brown/burnt umber paint mixed with gloss Mod Podge, topped with dimensional paint for the whipped cream. The sucker is one of those metal paper prong holders. I painted lace for the handles. I really enjoyed making this so want to try doing one for myself. I got a big kick (no pun intended) out of making these! Yeah, it's stuff like this that makes minis so fun! I made the shoeboxes. The shoes are... buttons! Aren't they cute??? I've been working on a half scale Tudor house, it's only 8" tall and has two rooms. I bought it half finished at the last dollhouse show. I'm turning it into an herbal witch's cottage. It'll fit in a small glass case I have so I'll be making a garden and plants, too. I also had an idea to later make two other small houses to go with it on a cobblestone road. 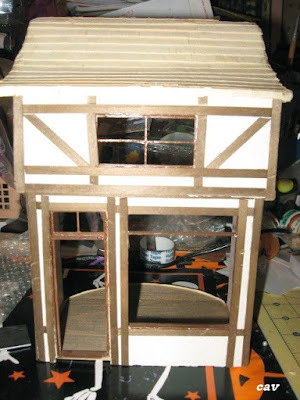 I love those Tudor street scenes and much prefer half scale to quarter scale. So that's another idea to work on! (Like I needed more? haa!) I'll do another post soon showing the house when I finish a couple other things on it. So here's the table that'll go by the front window (2" long) and the potion cabinet (2 1/2" high). The table is from MiniEtchers. I glued a sparkly cloth on top. The jars are all made from beads. I also made these two fireplaces. The left one is made from wood and paper clay. The right one was a railroad portal made of resin. I added the the wood back and a small base. Then I added on the top with clay and the wood mantel. These are Israel souvenirs my friend found in an antique shop. I'm going to put them in my mini world museum once I do that project. that'll make a neat wall decoration in 1" scale. She also gave me a string of smaller street post lights (battery operated). Half scale magnets. I've never seen the bathtub or the ironing board. So, stuff for future projects! What are you working on? What minis did you get for Christmas? 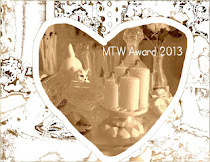 Artisans in Miniature Christmas-Winter Issue! The AIM Christmas - Winter issue is now available. 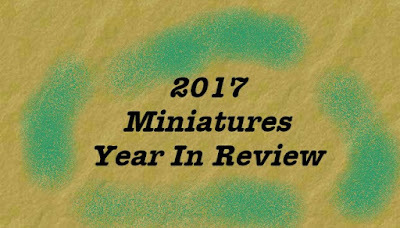 2017 Dollhouse Miniatures Year in Review! It's my birthday, so what better way to celebrate than sharing some minis I've made! For fun, I wanted to share my Miniatures Year in Review, a look at some of the projects I finished - and the ones I started, and hoped to finish. Looking back, I had an ambitious list, which I barely touched. But you know how it is. Big ideas and then you change your mind on what to work on. Here's the 2016 Miniatures Year in Review. I did very well at the county fair in August. My beige mums got a blue ribbon, as did the decorated perfume box I made. I was really happy with how the flowers came out. My completed Halloween stall got a grand champion in the arts department at the county fair. I also made this shadowbox. I wanted to finally try making one. It also got a blue ribbon at the fair. These were some of my favorite mini dresses, bags, hats and shoes I made. I did get a few things done for my favorite mini holiday. I made more flowers and mums in October. Something I tried. 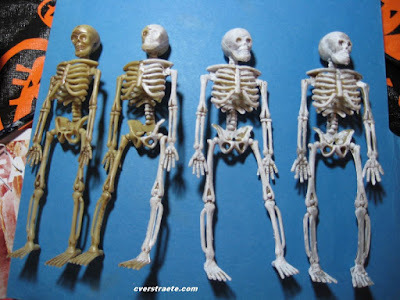 I usually don't paint the plastic skeletons (from Dollar Tree), but after looking at some online, I decided to try it. It does make a difference. Here's a look at the progression. Left to right: Unfinished, half painted with white acrylic, fully painted and finished. The last skeleton also has some gray acrylic paint brushed on for accent. NOTE: If you want to pose the skeletons, heat with a hair dryer for a couple minutes, then carefully bend the arms or limbs so they'll sit or hold something. Here's a couple I've been working on. The beige silk dress needs some buttons yet and finishing touches. Her eyes are small balls of Model Magic Clay. Paint the sockets black for accent. Glue eyeballs in socket. Dot toothpick in acrylic paint for iris and dot on ball of clay. Dot black on eye paint for center of eye. Gluing the eyeballs in kind of cockeyed gives the figure a funny look, I thought. Coat lightly with Modge Podge Gloss or water-based varnish. I lightly painted in eyebrows and lips. I still have to wig the other skellie and put shoes on her. These two likely will be customers in the Horror/Haunted Mini Bookstore I'll eventually work on, so I have to bend their arms and give them books to hold. I've printed out some books and started folding them. Since I have so many to do (hundreds? I hesitate to guess! ), the easiest way is to fold the covers over pieces of mat board and cut to size. Paint edges white, then glue on cover. So that's something else I started. That and continuing to fold mini record albums. Both of them are addicting, especially when you see the pile growing. There's something about seeing a large number of the same things, isn't there? 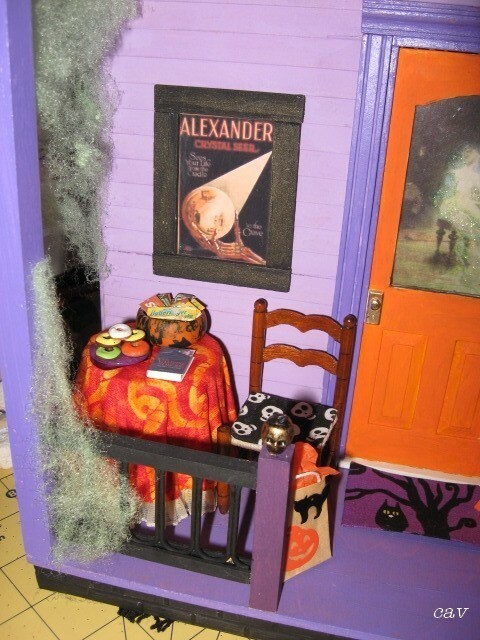 I also decided to start decorating a miniature porch I've had for a while. I didn't finish it until November, but I enjoyed working on it. I still have to add a dressed skeleton in the chair and am putting some other vines and flowers up. I might add a door wreath yet, too. I think the door needs something else. It's hard to tell, but the window has a fabric spiderweb covering it. See photo from back below . The "dog" is a crazy Hell Hound or something I painted at a convention. Perfect scary "dog." ha! I didn't want to leave the back unfinished, so I covered it with scrapbook paper, added trim and glued on some apothecary ads and a curtain. The image in front is a ghost lady playing the piano. I painted her dress in glow-in-the-dark glitter though it doesn't show up as much as it does in the bottle. Too bad. Other projects done or underway: added gold sequins and a string of crystal balls to a half-scale Christmas tree I got in a swap last year. I got this cool half scale Tudor house at the bargain table at the last show. It's made of mat board or some kind of board and is pretty sturdy. It fits in a glass case I have so I'm decorating it as an herbal witch's house. I painted the roof (made of cut tape) and painted the back edges brown. I added sand paint to the ceilings inside. I put three wood strips on the first floor ceiling. It's a little warped so the sticks aren't totally flat, but it'll work. I'll add a separate blog post as I progress and show more that I get done. I have to make a door and put acrylic in the windows, plus add curtains, too. It will probably have a "magical" garden with some "punny" plants I got in a past Half Scale group swap. So, I did work on more than I thought! What're you working on? Have a great and blessed Christmas, and a fantastic New Year!